Two reputed members of the Lucchese crime family were arrested by the FBI and charged with the murder of a fellow family member — along with the attempted murder of a reputed Bonanno soldier. Christopher Londonio, 43, and Terrance Caldwell, 58, were charged by federal prosecutors based in Manhattan with the murder of Michael Meldish, a drug kingpin who had been one of the city’s most dangerous criminals. 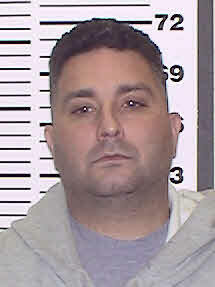 A federal grand jury in White Plains also indicted Caldwell with attempted murder for his alleged role in the shooting of Enzo “The Baker” Stagno, 47, a reputed Bonanno solider from Whitestone, Queens. Stagno, whose nickname derives from “The Godfather” character, was struck in the chest in May 2013 as he made a phone call in his SUV near his home, authorities said. A few months later, Meldish — who had ties to both the Lucchese and Genovese crime families and who once led the notorious Purple Gang in Harlem and the Bronx — was shot in the head as he sat in his luxury car in the Bronx. It is the first time charges have been brought for the attempted murder of Stagno.